Put about a tablespoon of olive oil in a heavy frying pan on medium heat. 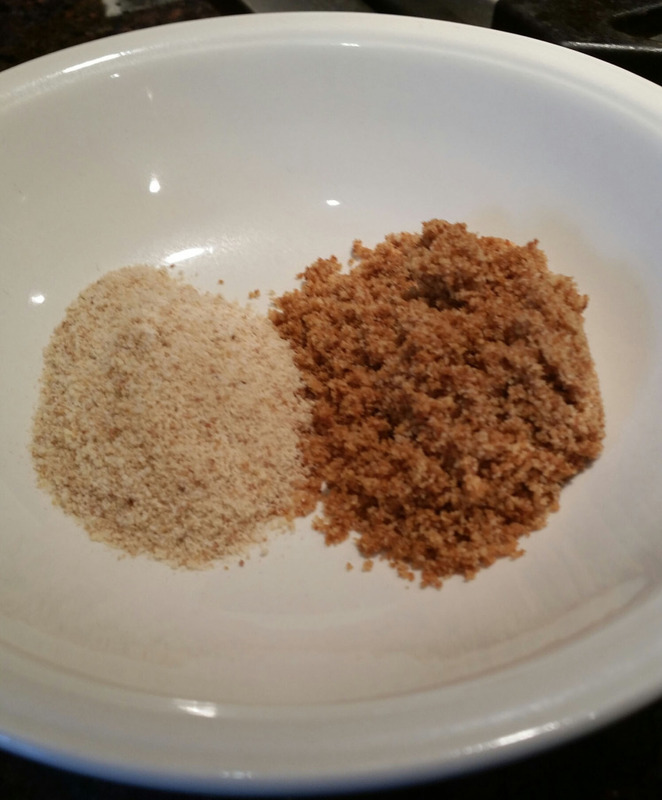 Add a cup of unseasoned bread crumbs and keep them moving until they darken. Don’t walk away to do something else because they’ll burn. When they reach the right color remove them from the hot pan immediately or they’ll keep browning. They should smell like toast, not burnt toast. You can use this on many pastas in place of cheese and there are some sauces where you can only use toasted breadcrumbs – fish sauces like pasta con sarde or baccala.